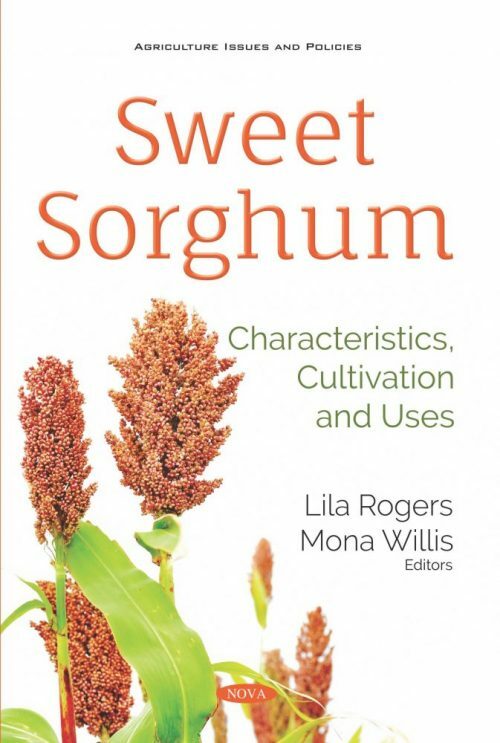 Sweet sorghum is a cereal that belongs to the species Sorghum bicolor (L) Moench. Although the crop is reportedly native to Africa, it is grown worldwide largely because it thrives well under wide rainfall, varied day lengths, and varied soil conditions and can tolerate varying degrees of biotic and abiotic factors and stresses. In Sweet Sorghum: Characteristics, Cultivation and Uses, the authors review the physiology and adaptation of sweet sorghum crops to varied environmental and climatic conditions across Sub-Saharan Africa. The authors also discuss the saline soil distribution and cultivation of sweet sorghum in China. Soil salinization is one of the most prominent environmental problems in the world, which limits crop yield and productivity seriously. Today, about 20% of the world’s cultivated land and nearly half of all irrigated lands are affected by salinity. Lastly, the utilization of sweet sorghum bagasse as raw material in the development of an environmentally friendly particleboard bonded with a natural adhesive without the addition of harmful chemical substances such as citric acid was carried out. The effectiveness of several manufacturing conditions such as pre-treatment of particles before hot pressing condition, citric acid contents, pressing temperature and time, and sucrose addition were investigated.